Philip is a founding partner of Caisson and sits on its Management Committee which oversees the overall business direction of the firm. His main focus is equity raising and transactions. 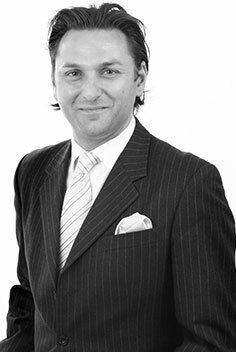 Philip commenced his career at DE&J Levy in 1993 working in investment acquisition, asset management and disposals. He moved on to GVA Grimley specialising in retail shopping centre development and asset management. Philip has established a strong background in investment transaction origination and completion, asset management (in all sectors) and development. Whilst at GVA Philip recognised the strong advantages Information and Communication Technologies (ICTs) brought to his work and began to focus more on bringing this capability to the fore in property and fund management. In 2003 Philip joined Yardi, the leader in Fund and Asset Management Systems in the USA at the time, to help establish its activity and grow the business in the UK and Europe. He has worked closely with many Pan European and Global funds and as a result of Philip’s efforts Yardi has moved from being a minor provider into being the market leader in Europe. This background gives Philip a truly unique and diverse skill set to adopt operational efficiency in the transaction process, fund and asset management, investor relations and equity raising. Philip is a qualified Chartered Surveyor.